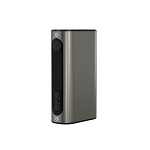 The Hive 2.0 Battery is a revamped Hive cartridge battery system from Yocan Tech that offers the same great versatility but now with variable voltage output and more. 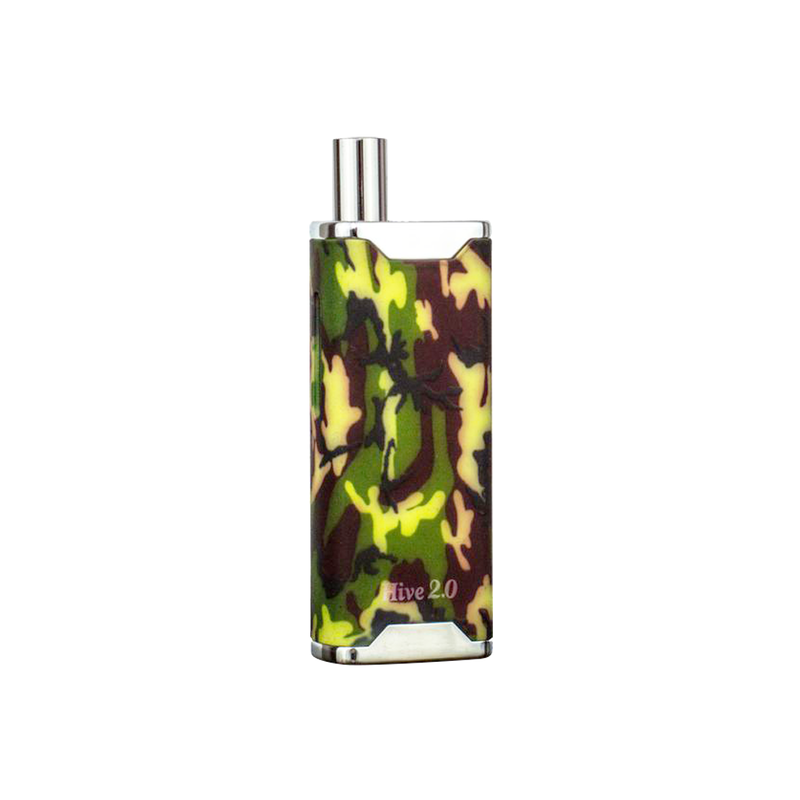 Just as the original, the Hive 2.0 is designed for use with both thin essential oils as well as thicker waxy material. This edition however comes with the option of customizing your power output level to achieve optimal results with either material. 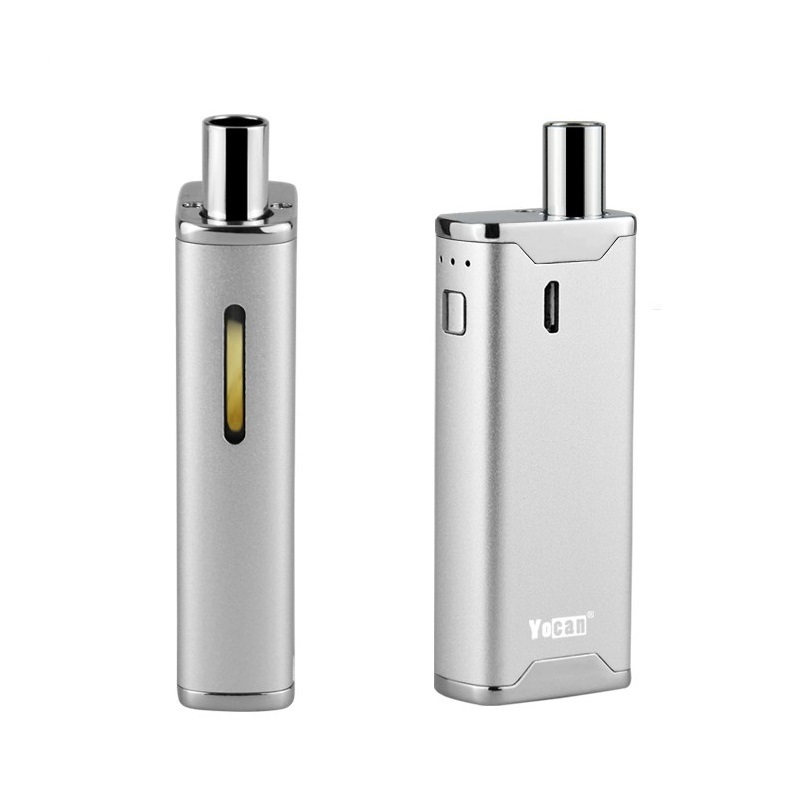 Yocan implemented three preset output levels (3.4, 3.8V& 4.2V) that can be applied by rapidly pressing the power button three times while the device is powered on. Each time you swap through to a new voltage level you will see the LED power indicators above the power button shine a solid blue color, one light will indicate the lowest setting and when all three shine together you have the highest output set. 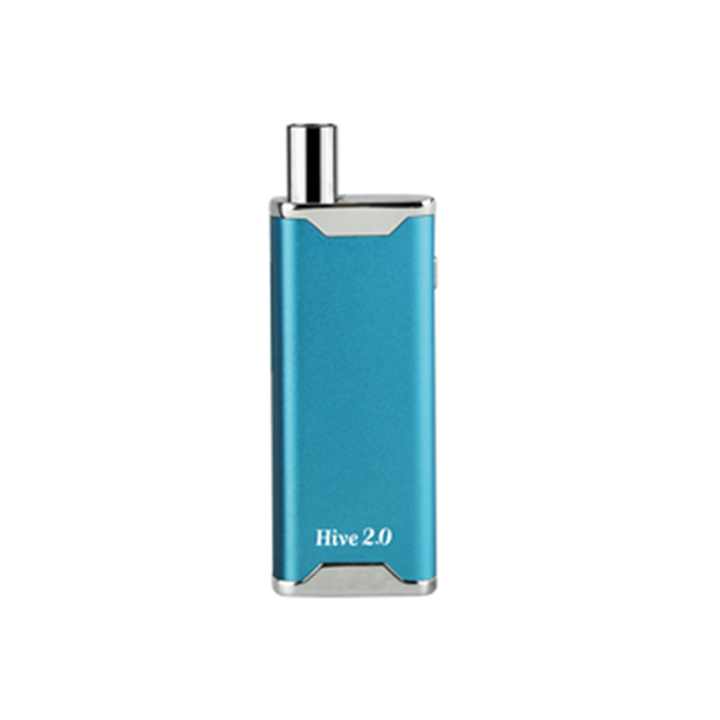 Having the option to adjust the output level makes a world of difference, at times you may want a thick aroma with the highest output setting while other times you may need to keep it discreet with the lower settings, Yocan's Hive 2.0 ensures you can do just that all while using the same device. 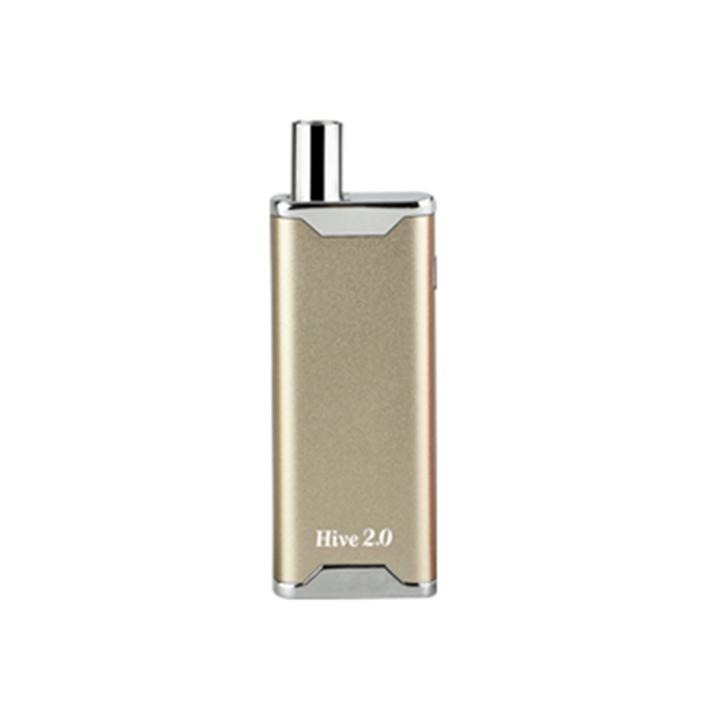 Speaking of discretion, the Hive 2.0 Battery is just about as compact and travel-friendly as it gets. 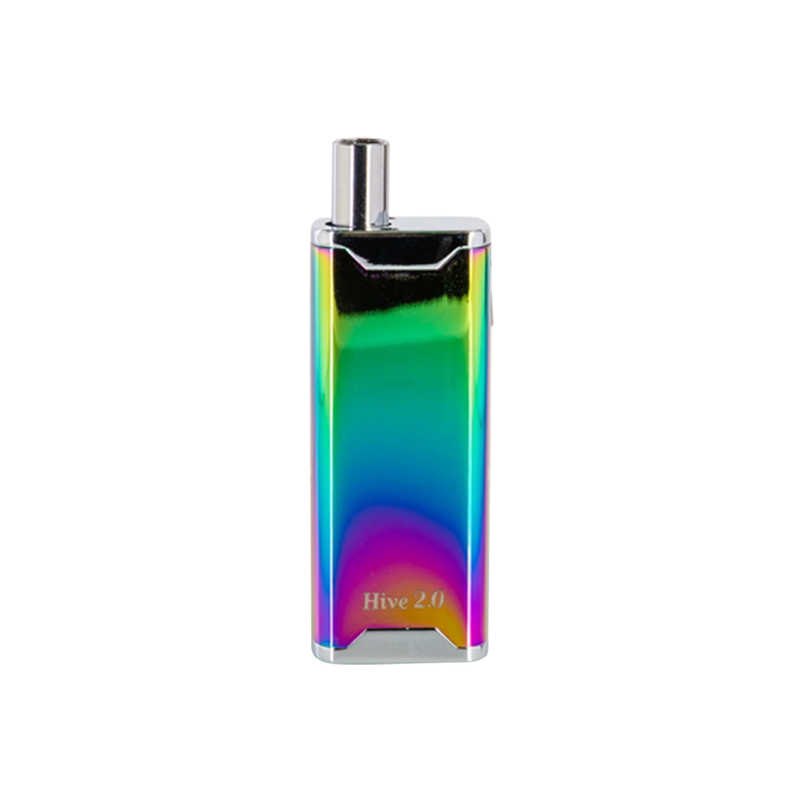 With a connected cartridge the Hive 2.0 measures in at around 3.25" tall by just over an inch wide, leaving you with a palm-sized device that is absolutely perfect for discreet sessions on the go. Keep it in the palm of your hand and with one just finger you can fire the device for fast and stealthy hits no matter where you are without anyone seeing what you are doing. Each Hive 2.0 Device comes stocked with two cartridges, one designed for thin oils and one for thicker concentrated material. Both elements come equipped with the innovative magnetic adapters that allow you to simply drop your cart into the Hive's housing and instantly makes a strong connection to the battery. 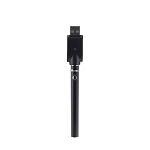 This adapters utilize a 510 thread connection that also allows for use with several other similar style cartridges on the market. 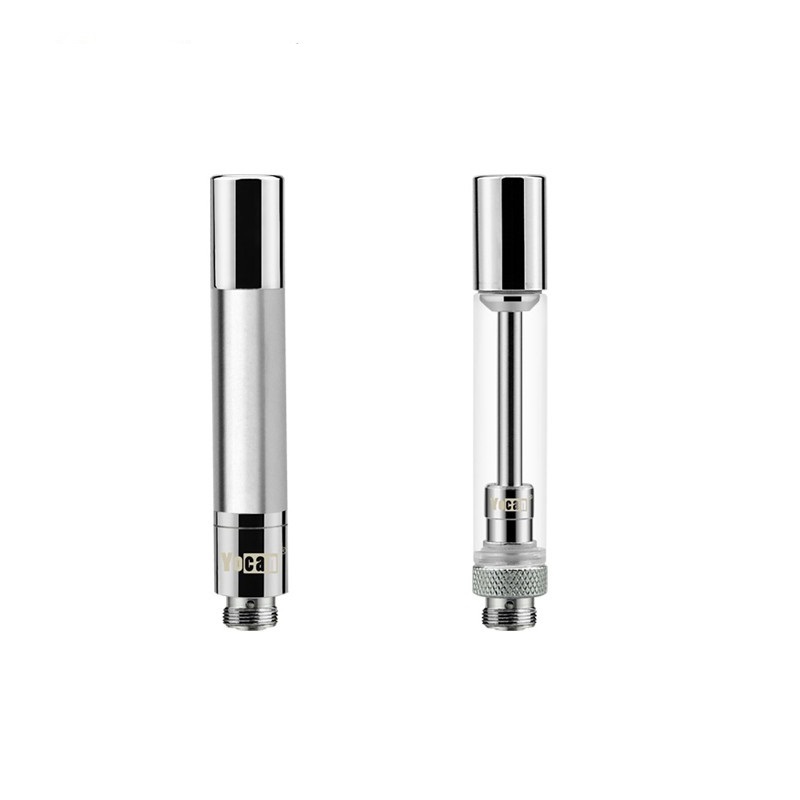 For thicker concentrates, Yocan includes a 1.0 ohm chamber that utilizes a premium glass quartz element that offers great efficiency and a natural quality of flavor. When using thinner oils connect the 1.8 ohm wick style atomizer, this element features an easy top fill design with leak-proof structure that will prevent messy leaks and ensure you are getting the most out of your material. 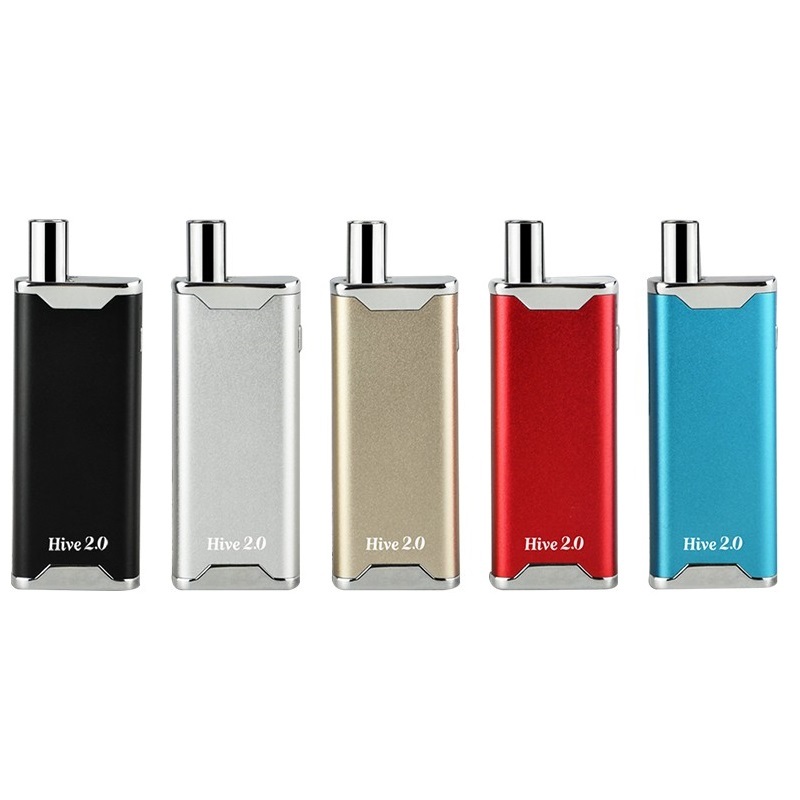 The Hive 2.0 also features a long-lasting 650mAh battery that is equipped with an innovative passthrough charging function. This allows you to continue heating the Hive device while it recharges although the time for that will not come around too often as this device requires very little power and will often last for days before eventually dying out. Great, thank you so much! I had received my YoCan Hive 2.0 and the Juice cartridge was cracked when I received it. I contacted AromaVapes as soon as I got it and they sent a replacement right away. 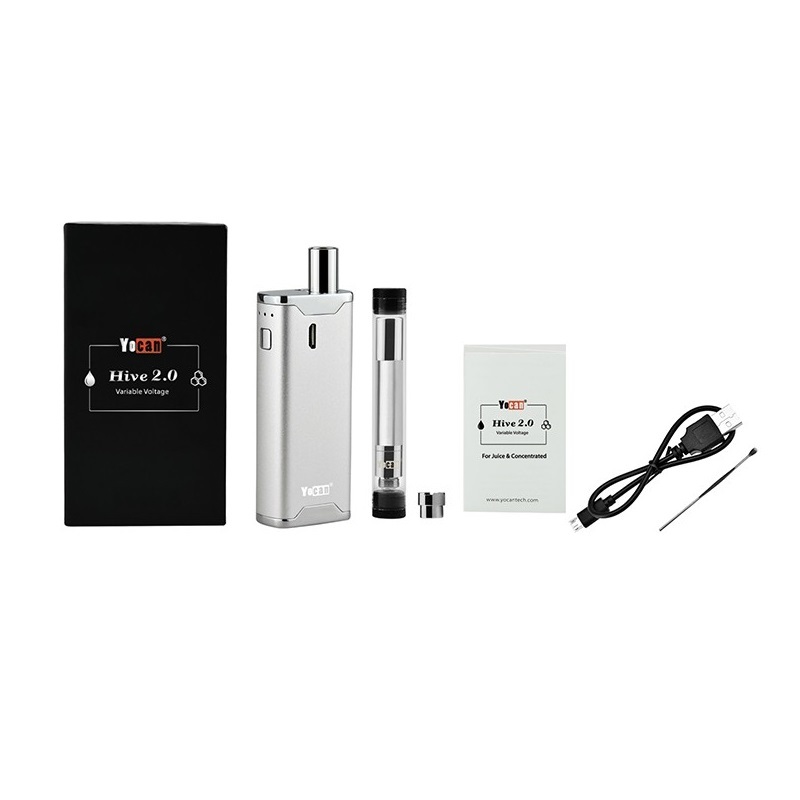 It is a great product and I highly recommend this anybody that loves to vape. Pros: Great Price from Aromavapes, great Customer Service. 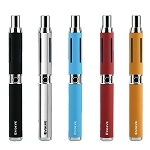 My opinion if I order anything for Vaping there's no doubt I'll order from Aromavapes. Cons: None. Thank You. Overall, a good battery. I have purchased 2 of them. One of the batteries never worked. The lights just blink. That being said, I still ordered another one because I prefer the size of this battery and the charge lasts for days. I have used several other batteries and this is the best one for the money. This is my second attempt in the electric smoking world and this vape really did it for me. Even in the low settibg you really get a nice clean pull. Definitely recommend to others. It's very small and easy to conceal!! The hive 2.0 is easy to use and versatile. The charge lasts for days. Smooth pull and the multiple settings allow for a custom experience. Love this vape and it was well worth the cost. Exactly what I ordered. Came quick and without issues.